In searching for library books, especially for children, it is essential to understand how books are categorized and organized in a library. There are several different types of systems used to organize books, so you may find that your library is slightly different that what I am explaining, but the overall principles are the same. Libraries separate and organize books into distinct areas based upon age or difficulty range and fiction versus non-fiction. Understanding the various groupings within each of these broader categories is essential to choosing books that are suitable for your family, as well as locating the books for which you are searching. Public libraries typically keep separate areas for board books (BB), easy books (E), juvenile books (J), youth books (Y), and adult books (A.) This may seem obvious, but it can be difficult to find something you would think of as a “picture book” as they may be included within several different areas. Board books are intended primarily for infants through early toddlers. Easy books are appropriate for older toddlers through kindergarten. 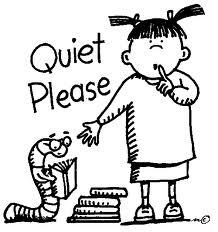 Juvenile books can be comfortably read to older toddlers through middle grade schoolers. Since there is a lot of overlap and because each child’s attention span and interests vary, you may find it helpful to utilize more than one area for your reading. To confuse the visitor even more (it would seem!) some libraries still use a “dot” system to denote books for earlyreaders by grade level (i.e. red dots for 1st graders, blue dots for 2nd graders, green dots for 3rd graders, and black dots for 4th graders.) Again, this creates a certain amount of overlap for those who are browsing, as many of these books are also suitable as early read-aloud chapter books. Nevertheless, the dot system can be helpful to those trying to locate grade-appropriate books assigned specifically for accelerated reading programs. Board books are not separated by this distinction, but are all just classified as “BB.” Beyond that level, fiction books are cataloged and labeled using their age range category (E or J) followed by the author’s name. So, a book by Laura Ingalls Wilder would be found under “JWilder” and a book by Eloise Wilkin would be found at “EWilkin.” Non-fiction books are catalogued using their age range category followed by the Dewey Decimel number and then the first letters of the author’s name. Thus, a book about bats by Sylvia Johnson may be found a J599.4 JOH. Now, to put this knowledge into practice! First, as always, know or find out the call numbers of any specific books you are looking for by using your library’s catalog system. Next, if you are not very sure of where each category of books is located in your library, ask a staff member for a tour of the children’s section or walk around paying close attention to labels to familiarize yourself with the exact location of these general groupings. Finally, have fun confidently finding the books you are looking for and perusing the shelves of books appropriate for your family’s reading goals. In the next segment of “Your Trip to the Library” I will attempt to help readers make sense of the Dewey Decimel system to demystify the process of finding non-fiction books. In the last post to this discussion, I recommended several ways to prepare for a successful trip to your local library. Now we are ready to discuss the first three things you should do when you get to your library. All three of these easy tasks can be accomplished at the circulation (or check-out) desk. I used to think that I should go there last, but I now understand that it makes my life easier if I stop there first and then again at the end of my trip. This may vary upon the size of your library and the busyness at the desk that day. · Next, turn in your previously checked out materials. This can be accomplished via a bookdrop in a different area of your library, but is best achieved with a personal interaction to be sure that there are no problems with your library account. If you have fees that need to be paid, do so at this time. (Hopefully, after reading through this series, that will not be a problem!) OK – Now, smile again! 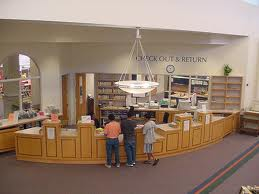 · Finally, once all of the books have been digitally returned, ask for a receipt of all currently checked out materials or ask what you still have out. Sometimes one book or DVD can easily be left behind or even missed when being scanned in. Starting with a clean slate or at least an organized idea of what you have out is essential to the start of your library experience. Now that you have your library tote empty, you are ready to continue on your library expedition! In the next segment of “Your Trip to the Library,” I will discuss how books are categorized in most libraries. Since my husband became a librarian many mom friends have told me that they don’t use the library because it is too overwhelming, they cannot find books that they like for their children, or they end up spending more money on overdue fines or lost book charges than buying the materials would cost. I believe that everyone can have a successful, productive, and memorable library experience with the correct tools. With this series I hope to empower moms who are not comfortable with the library and to encourage those who are to continue using this resource effectively. I believe libraries can be a tool for everyone who uses them to help educate and entertain their families with little to no out-of-pocket expense. With a little preparation before you go, taking the right tools with you, understanding how your library works, and having a plan for return you and your children will look forward to trips to the library. In the next segment we will discuss how to prepare for a successful trip to your local library. Summer Reading is our busiest time of year. Not only do we enjoy the extra incentives to read, but we also the various programs available throughout the season. Weekly storyhours; family scavenger hunts; and science, history, and cultural presentations by various local and regional performers and presenters add to the excitement. I especially appreciate that I am stretched to read books on my own and to my kids that I would not have otherwise picked up or even noticed. The nationwide kid’s theme for Summer Reading this year is “Dream Big…READ.” If you are in the Meade area visit www.meadelibrary.info for a schedule of events. Of course, everyone should visit a local library to get in on the fun and embrace these free summer activities help your kids DREAM BIG and READ!!! The power and value of the written word has incredible meaning for our lives. As we expose ourselves and our families to stories, we learn information available from no other source. The content and quality of the books we read will be of lasting importance and will affect who we are and what our families become. From an early age, I have loved reading. Some of my earliest memories are of the books that my mother read to me. As I learned to read on my own I was exposed to various genres and developed a clear idea of the types of books that I enjoyed. Fast forward through many years of reading to where I find myself now – a librarian’s wife and mother to 4 children who love books. As I read for myself and to my children I find books that are wonderful and I want to share with others and also find books that I would tell others are not of lasting value and thus not worth reading. My husband and I want to expose our children to a wide variety of reading – fiction vs. non-fiction, fantasy vs. real-life, books in print vs. audio books, print and ink books vs. digital books. With this goal in mind I want to share with readers of this blog many of the books we read, our impressions of these books, and recommendations for future reading.